Happy new week people! Hope y'all had a splendid weekend like i did. Over the weekend, i cooked one of my favorite soups known as Abak atama. 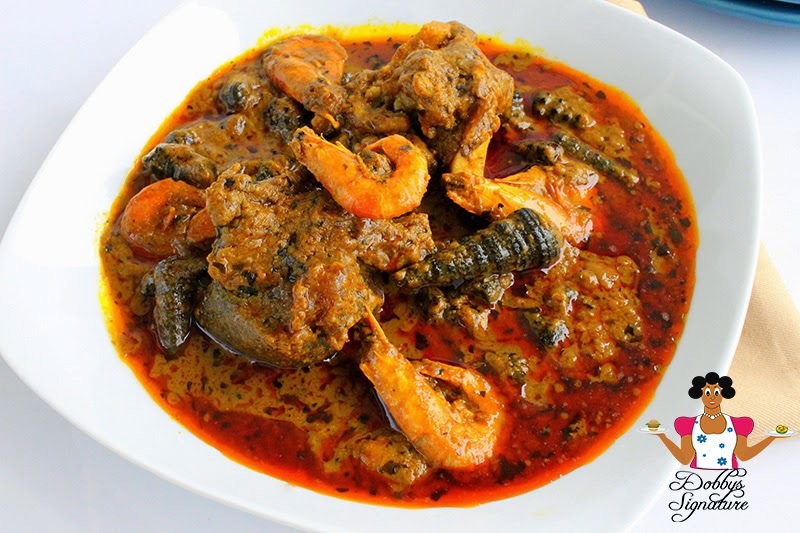 For those who don't know yet, Abak atama is a popular soup Native to the Efiks which is an ethnic group located primarily in south-eastern part of Nigeria i.e Cross River State. 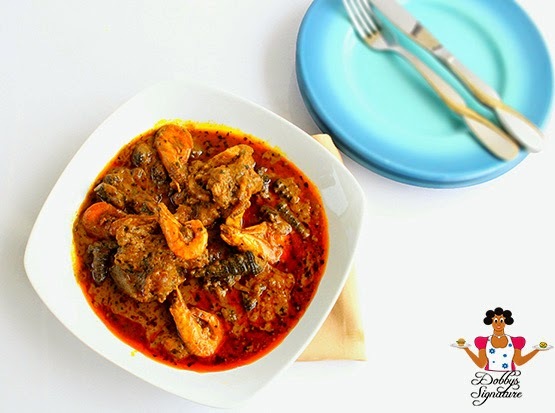 It's similar to Ofe Akwu of the easterners and Banga soup of the southerners with the only difference being the spices and herbs used in cooking. 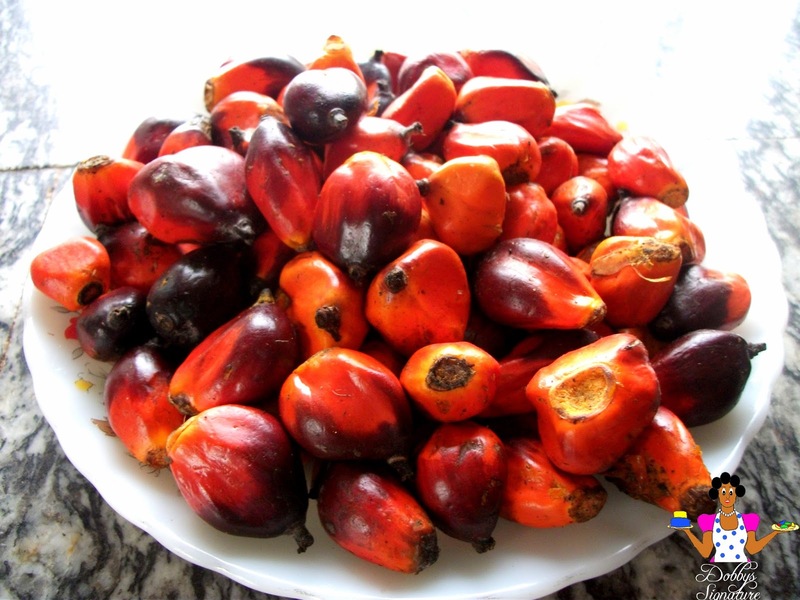 The name "Abak" simply means palm fruit extract and "Atama" is a vegetable also known as Beletete in delta state hence the name Abak Atama which is derived from a combination of the palm fruit and vegetable used in cooking it. It's mostly prepared with seafood which is quite popular in the region but you can use beef in the preparation also. Below is a quick tutorial on how to cook it. p.s: Do you have recipes you've tried out on the blog or recipes you want to share with us? Do send it in to dobbyssignature@gmail.com and we'd be glad to feature you. Step 2: Wash and place the Beef and assorted meat in a different pot. Add the Crushed seasoning, Pepper, Salt and water just enough to cover the meat in the pot. Cook till the meat gets tender leaving the concentrated meat stock within. 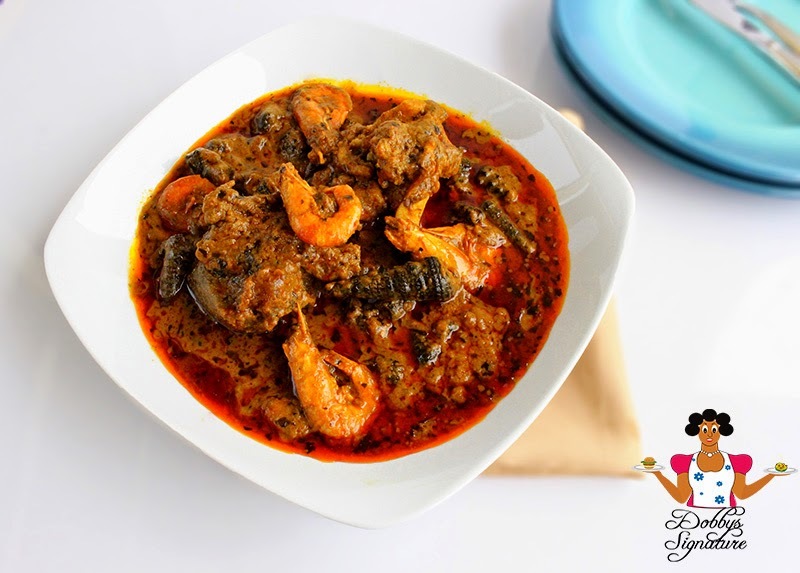 Step 4: Pour the extracted palm nut liquid in a medium sized pot and cook for about 10 minutes. Gently add the Beef and assorted meat (Including the stock "Meat water"). Step 5: Add the smoked fish , stock fish, ground crayfish, shrimp and Uyayak. Stir and leave to cook with the pot covered for 25-30mins. Step 6: By now the soup should be thick. Add the Periwinkles and crushed Atama leaves into the pot of soup, Stir and leave to simmer for 5 mins. Sorry I don't eat shrimp it against my religion. The book of Leviticus forbids consumption of shell fish. Besides that the recipe looks brilliant. Mr Adela - are you serious?!?!?!? I am actually tempted to go searching for the verse in Leviticus but something tells me you are pulling Dobby's legs. LOL!! You can always try it without the shellfish. Extremely scrumptious!! same here...please which verse of the bible Mr adela. I am gonna try this soon. I will eat it with boiled rice. I love this soup. I make mine with bitter leaf. Bitterleaf is a great substitute so it'd go fine. It sure is delicious miriam. It's really not difficult to make except the pounding part. Fresh Atama leaf is always bitter. 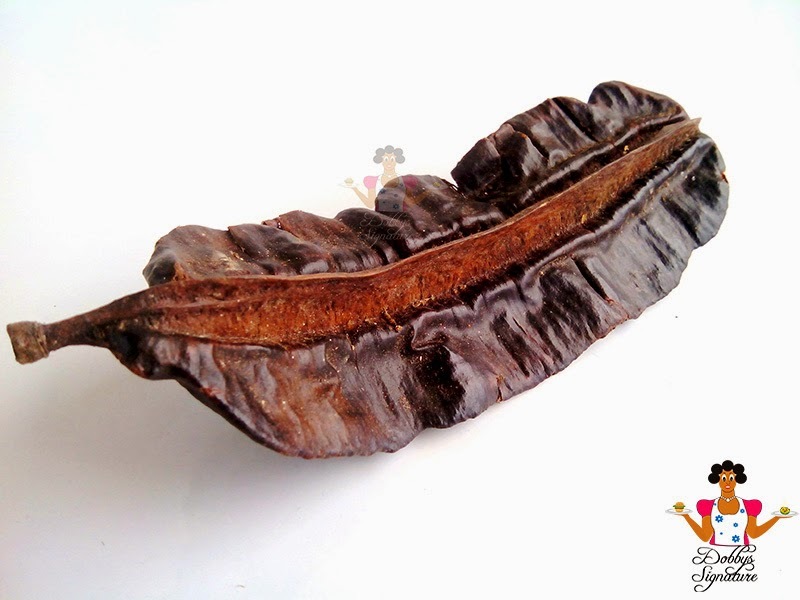 Yu can get rid of the bitter taste by washing it severally just the way fresh bitterleaf is washed. change the water a few times and you're good to go.